The Syrian Democratic Forces: Just an Invention by Washington to Save Face? As America's previous strategies for dealing with the Syrian crisis fell into disarray, the Pentagon scrambled to gather a ragtag band of militia groups under the banner of the Syrian Democratic Forces. But the new alliance is barely holding together, and may in fact have been dreamed up as an excuse to continue pumping weapons into the region. Mere days after the Obama administration announced it was ending its controversial plan to train and equip so-called "moderate" Syrian rebels, a new player arrived on the scene. "The sensitive state our country Syria is going through and rapid developments on the military and political front…require that there be a united national military force for all Syrians, joining Kurds, Arabs, Syriacs and other groups," read a statement released by the newly formed Syrian Democratic Forces (SDF) last month. The alliance consists of the Kurdish YPG militia, an Assyrian Christian group, and a number of various Arab groups collectively known as the Syrian Arab Coalition. And according to a senior US military official speaking to the New York Times, the Syrian Arab Coalition was "an American invention." 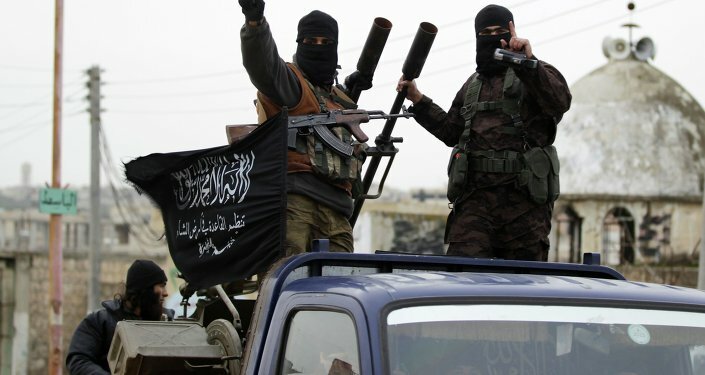 Washington’s new Syria strategy involves supporting this nebulous ground alliance in a fight against the self-proclaimed Islamic State terrorist group – in addition to sending between 30 and 50 US Special Forces as "advisers." But according to the government officials, the Syrian Arab Coalition consists of only 5,000 fighters. These are spread across various groups without any real central leadership, and approximately 20% of those forces said they had no interest in staging an offensive against IS. If the SDF is to display any effectiveness, it will be from the 40,000-strong Kurdish militia – a fact which doesn’t exactly sit well with America’s Turkish allies. But by creating the Syrian Arab Coalition, the United States can indirectly arm the Kurds while maintaining plausible deniability. "The YPG is a very effective fighting force, and it can do a lot. But these Arab groups are weak and just a fig leaf for the YPG," Barak Barfi, of the New America Foundation, told the Times. "There is no deep-rooted alliance between these groups; this is a shifting tactical alliance." The Syrian Arab Coalition is all but nonexistent, but even the broader SDF is in tatters. Despite the Pentagon’s dumping of 50 tons of ammunition into Syria last month, the alliance is in desperate need of heavy weapons, radios, infrastructure, leadership, and, yes, ammunition. Visiting the frontlines in Syria, Ben Hubbard of the New York Times reported on just how ill-equipped the alliance is. Fighters wear old, worn-out boots and ragged fatigues. Security checkpoints are manned by teenagers armed with aging rifles. The only unifying factor at this time appears to be a yellow flag meant to represent the SDF, though it has no command posts to fly over. "This is the state of our fighters: trying to fight ISIS with simple means," one commander said, using an alternative acronym for the Islamic State. The SDF is also in dire need of leadership. While the group is meant to be led by a six-person military council, that council currently consists of a single individual, who largely serves as little more than a spokesman. Creating an illusory group to justify military actions in Syria isn’t exactly a new strategy for the Obama administration. When the US-led coalition first began airstrikes in Syria, Pentagon officials said they were targeting an al-Qaeda affiliate known as Khorasan. "There are serious questions about whether the Khorasan Group even exists in any meaningful way or identifiable manner," Glenn Greenwald and Murtaza Hussain wrote for the Intercept. "What happened here is all-too-familiar. The Obama administration needed propagandistic and legal rationale for bombing yet another predominantly Muslim country." With the SDF, the administration can similarly deny arming Kurdish militias, and pretend it has an actual strategy in the region.